Never been here before? Wondering what to expect? While we have both contemporary and traditional worship styles on Sunday morning and evening, you'll find a very welcoming atmosphere at all of our worship services. Dress however you'd like for whichever service you'd like. And don't worry - you're not going to get called out in the worship service and asked to tell us your life story - we want you to feel welcome and don't want you to feel like you're "on display." Our contemporary service is held at 8:15 am and our traditional service is held at 10:30 am. If you join us for the 10:30 am service, stay after and have a glass of lemonade and a treat. Stop by the welcome desk if you have questions. There will be someone to help you. You can also visit our Frequently Asked Questions page. There's a staffed nursery for the little ones (2 and under) and Children's Sunday School is offered for ages 2 years through fifth grade from 9:15-10:15 am in the Child Care Wing. Children are invited to come forward during the 10:30 am service in the Sanctuary. After, they can attend children's church in Dishman Chapel and the Child Care Wing. We want you to know that kids, no matter what age, are always welcome to stay with you in worship if that's what you or they want. Please do not worry about your little one making too much noise. You can learn more about our children's activities by visiting our Children's Ministries page. If you've got middle or high school age children, they're going to love Youth Sunday School. Youth meet from 9:15 to 10:15 am each Sunday morning in the Youth Center. To find out about all the great things our Youth are doing or to learn more about our Director of Youth Ministries, please visit our Youth page. At Trinity, we have Sunday school classes for every age and stage of life. Whether you are a young adult or well into your retirement years, you will find a place in one of our Sunday school classes. We even have a special needs class. Sunday school meets at 9:15 am in various rooms throughout the campus. We invite you to drop-in on any of our classes at any time. You can visit our Sunday School Page to learn more about each of our classes. We offer a five-week Connections Class for all new members and visitors. You will learn about Methodist theology and practices as well as what it means to be a member of Trinity. The Connections Class is offered several times during the year and meets in the church library on Sunday mornings. 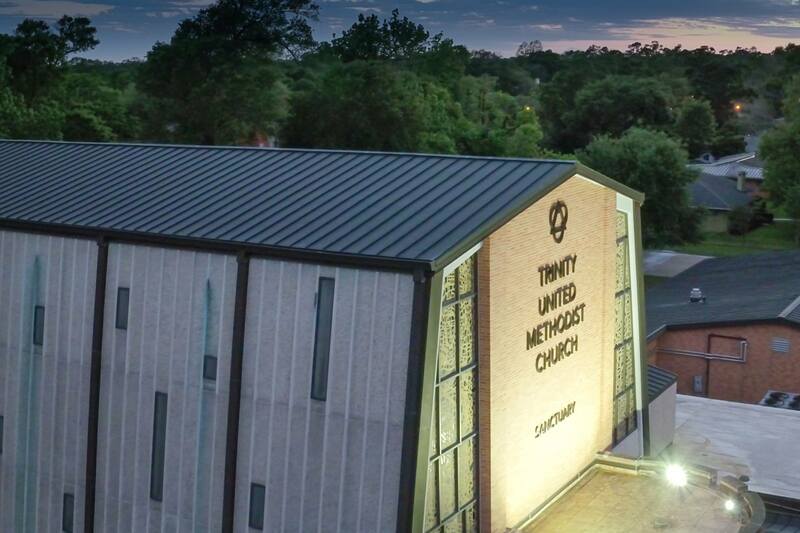 Click here to view a Map of Trinity.